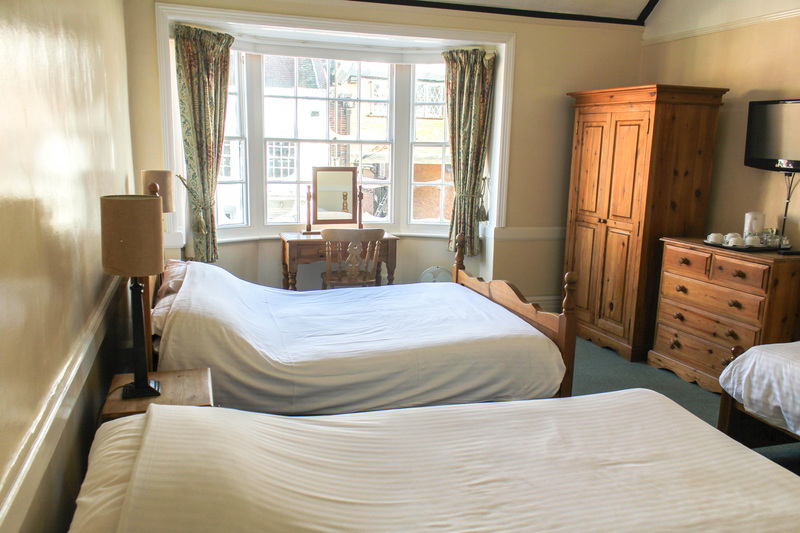 The Chequer Inn is proud to offer overnight accommodation in the Great Chamber, which has been converted in recent years. This now comprises a family room, a double room and a twin/single room, all with en-suite shower rooms, Freeview TV, FREE WI-FI and tea and coffee making facilities. We are proud to say that our cooked English breakfasts, which are made with fresh produce from local farmers, have grown an undisputed long-term reputation for being "simply the best for miles around..!" Homemade Granola, orange juice, and tea or coffee are also available. Monday - Saturday 7.30am - 9.30am and Sunday 8am - 10am. We can also offer free secure storage for bikes for guests, and packed lunches at additional cost. Whist we like dogs and allow them in some areas of the pub and the garden, we DO NOT allow them in the guest rooms or most dining areas, sorry.